Mitt Romney is experiencing at least three emotions here. The former Massachusetts Governor was campaigning in Council Bluffs on New Year's Day. He is currently polling first in the race for the Iowa Caucuses. In the everyday world, emotions are rarely isolated - rather they are superimposed and/or followed closely by others. Separating them accurately is not always easy. Romney body language shows us an Inward Lip Roll (ILR) indicating anxiety, correlated additionally with attempting to control the overt outward display of a negative emotion. This ILR is "blended" with the additional signal of Lip Thinning. Lip thinning is a clear indication of anger. 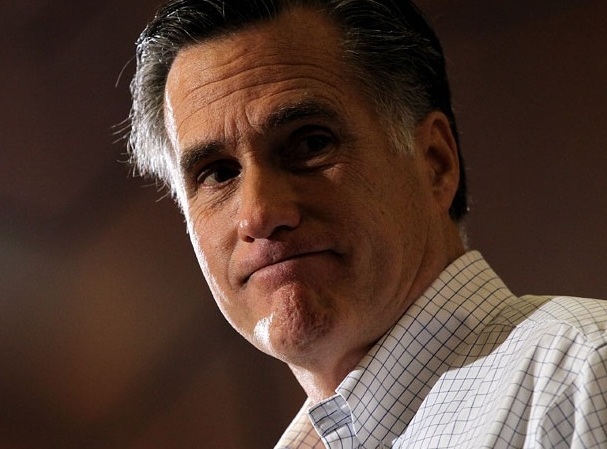 Thus, anger is the negative emotion which Mitt is trying to contain. The Governor's unilateral eyebrow and forehead elevation are nonverbal beacons of skepticism. Romney's head is not turned fully and his torso is not rotated at all toward the person/subject of his doubt. We do not look directly at people whom we don't like, don't respect and/or don't trust. Romney is exampling this nonverbal cluster of incredulity very well here.